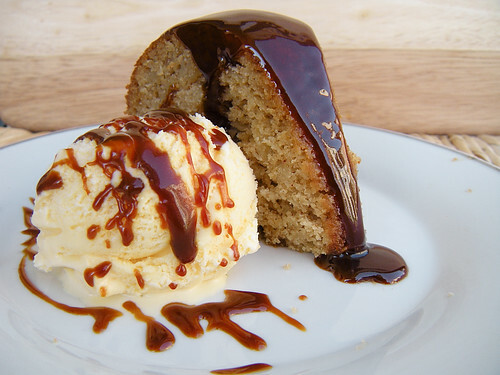 This bundt cake is a serious dessert. Seriously simple to whip up. Seriously jolts you into Autumn. I love apples, it’s no secret. But this is a whole new take on fruit in cake. The apples aren’t giant chunks of apple-y goodness, no. They are instead shredded to not only give you flavor but extreme moistness as well. So all you baked fruit haters: this is the one for you. You can have your cake and eat it too! Just save me a slice. Seriously. I made a few changes: I only used 1 stick of butter, 3/4 cups of apple butter and skipped out on the nuts and raisins. Oh, and I made an ooey gooey caramel glaze to drizzle on top. Cus seriously, apples and caramel live in holy matrimony! Don’t cha know? 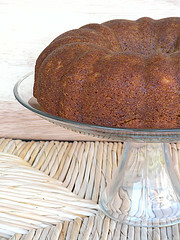 A wonderful thanks goes out to Lynne of Honey Muffin for choosing this recipe and kicking Fall off for us! Head on over to her blog for the recipe!! You’ll want it, seriously! Girl – this is the best take on this recipe that I have seen this week. 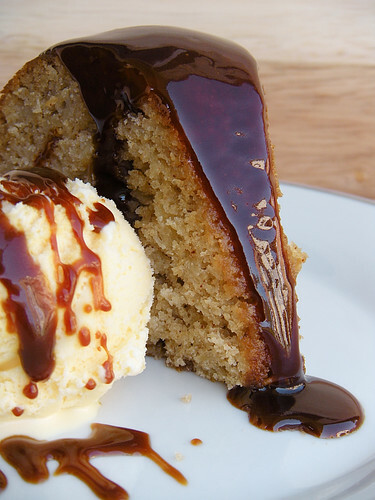 Seriously – you took it over the top with that caramel. I wish I culd reach through my screen and grab me a huge hunk of this confection. BRAVO!!! Whew! 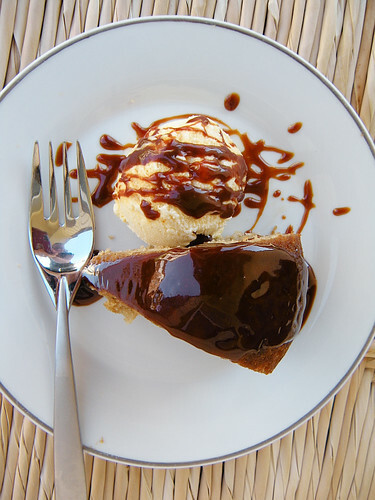 I thought the caramel glaze was on the ice cream and you made chocolate glaze for the cake…happy to hear it was all caramel! 😉 I am a lot more excited about the idea of caramel with an apple cake…a perfect marriage in my mind. YUM. That looks seriously good. I don’t know where you live but … Can I come over? Oh WOW, look at your beautiful pictures! I LOVE ooey-gooey. Now I really have to go back and make it again!! agreed 100% apples and caramel, matchmade in heaven. 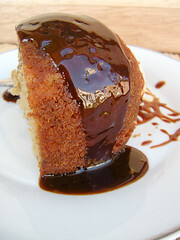 Wow, the cake looks incredible with the caramel glaze! You’re making me want to make another cake so I can try it like that – seriously! you are most definitely serious! that looks divine!! That looks so delicious! I wish I had either the skills to make something that good looking or at least take the photos that make it look that good. I seem to be able to do neither. Oh and I have passed along to you the lovely blog award if you would like to claim it over on my blog. I love reading your blog and seeing what delicious things you’re going to create! CARAMEL DRIZZLE!! Be still my heart!! I am coming over from “A chica Bakes”. 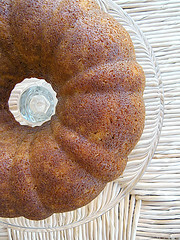 Love this double bundt cake. It looks fabulous! I have to say, this slice of double apple bundt cake HAS to be the prettiest one I have seen yet. 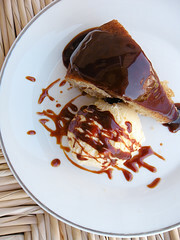 Oh, and the caramel sauce, YUM! Um, YES PLEASE. That glaze is insane, in the best way possible. Awesome photos and delicious-sounding cake! That glaze looks AMAZING on this fantastic cake. Gorgeous!